We can't take credit for everything around here, we get a lot of help from our friends. Jeff attended a Delmar Smith Seminar almost 30 years ago with our first dog, Gunner, and has been working with the Smith family and the Silent Command System ever since. He began training dogs for other people 25 years ago and has not looked back since. Of course, Jeff is not the only one around here, Ruthie was the original dog lover and still is today. She does all the work behind the scenes from giving the dogs treats to making sure the phone calls get answered. Once Liz was old enough to help out with the dogs, she has never quit. Liz has moved to the grouse country of northern Wisconsin but still can be found in any spare moment back working with the dogs. Throughout the 25 years we've been at this, a lot has changed but one thing that hasn't is our passion to see dogs reach their potential. Jeff has spent the last 25+ years working with bird dogs. He is the brawn behind Stoney Brook Outfitters. He is likely to be found training dogs in the field all spring and summer, in the prairies in the early fall and in the grouse woods all fall. Ruthie is the heart behind Stoney Brook Outfitters. She can often be found taking care of everyone from the dogs to the people. If you stop by in the morning, she may greet you with a fresh cup of coffee. Liz has been working with dogs for as long as she can remember. She can often be found working with the puppies and is the in house bird expert. Daniel was a duck hunter that needed a dog and then needed help with the dog. Enter Liz. As they say, the rest is history. Daniel comes from the horse world and has caught on very quickly to everything dogs and birds. We are very excited for Daniel to officially join the family at the end of July! We wouldn't be here without these guys. Meet the rest of what makes us, us. Our dogs are first our companions and then our hunting partners. These dogs are ours, they are not perfect, they are all average but we feel that they have been given the opportunity to reach their greatest potential. We are so proud to hunt with them year after year. Our dog "family" does not stop with our own dogs. Every dog that comes in for training becomes part of the family and we are always excited to see them come back to visit. Reggie is entering his 12th year of hunting and is still enjoying running the Prairie Chicken fields and being in the woods, however he is also enjoying the semi-retired life that includes going to the beach and pretending that Sylvie doesn't exist. Reggie is looking forward to being the welcoming committee of the kennel. Reggie left us after many wonderful years of hunting. We miss him a ton, but we have many pictures and memories to look back on. Toby is our now retired Prairie Chicken expert. Toby was our first introduction to the power of an English Pointer. He is now enjoying his retirement by finding all of the lose quail in the field and making sure everyone knows that he is still the king. Toby left us in true Toby fashion, finding birds after many years of being an excellent hunting partner. We miss him greatly, but carry with us the memories we have with him. Sam is our eight year old bird finding expert and has a great work ethic. He excels in both the prairie and the woods. He is one of our go to dogs for not messing around and finding birds. 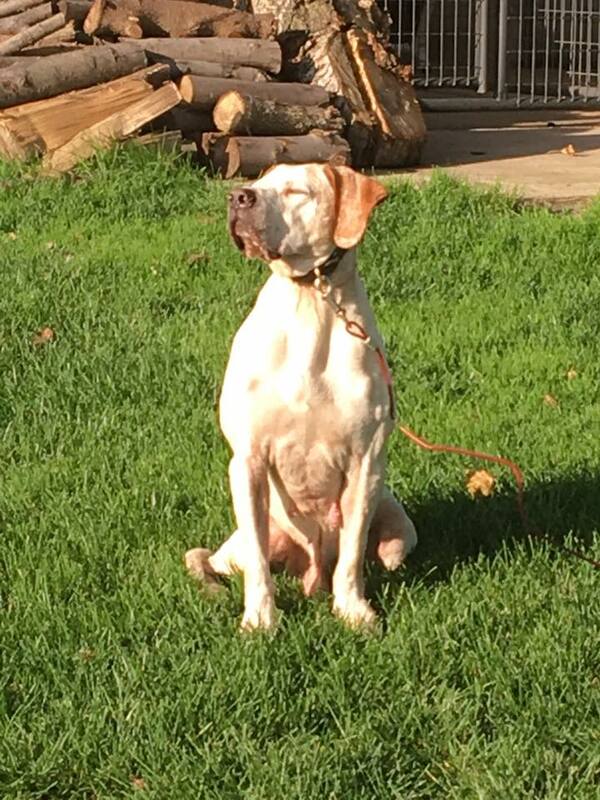 Quincy is a five year old English Pointer that has really come into his own in the fields. He runs the fields with enthusiasm and enjoys his work. When he isn't hunting, he is our resident goofball (and he likes that job too). Cider is a Ryman-type English Setter. He is entering his third hunting season and is really doing well in the field. He has been easy to train and is a great house dog. Cider is our sweetheart, he has yet to meet anyone he doesn't like. We are looking forward to his future and the things he has yet to reveal to us. Sylvania is a tri-roan Ryman-type English Setter. Sylvie is coming into her third season and improving with each hunt. She has been a natural retriever and bird finder since day one. She is a spitfire in the field and a sweetheart in the house. We are hopeful for her future. Merle is a 4 year old English Setter. He came to us a year ago as a dog that needed a job. He has taken to hunting very quickly and is a very nice dog. He is very slim and can move quickly. He excels in both the prairie and the woods. Jetta is a two year old Black Lab who's original purpose in life was to be a duck dog. That is until she met the woods and Grouse hunting. She is a smaller girl and has a very sweet temperament. She works excellently in both the prairies and the woods. Sparky is our newest addition. He is an English Pointer from Idaho. He has already proven that he is a birddog and loves going for walks with the big dogs in the prairie.